We offer a people-orientated, friendly service. We enjoy meeting and greeting, and will do our best to make your day a special success. We help your party on and off the bus, and give a smooth and comfortable drive using our steady, defensive driving techniques. We aim to arrive early in the area before your hire, to build in an allowance for unpredictable traffic conditions on the way. 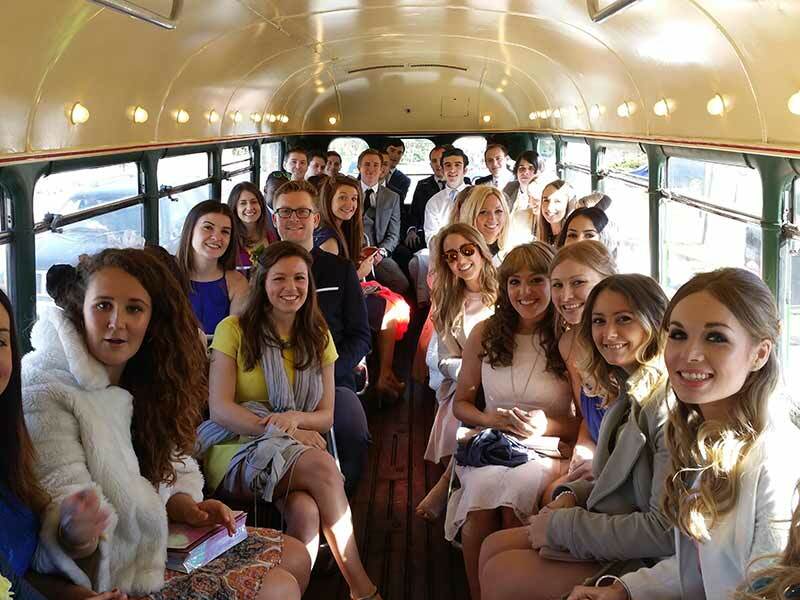 Although our buses are from the 1950s, our social attitudes are definitely 21st Century: we are just as happy being part of a civil partnership ceremony as a traditional church wedding or any other type of celebration. In order to conserve the lovely interiors of our buses, we don’t allow eating or drinking on board.